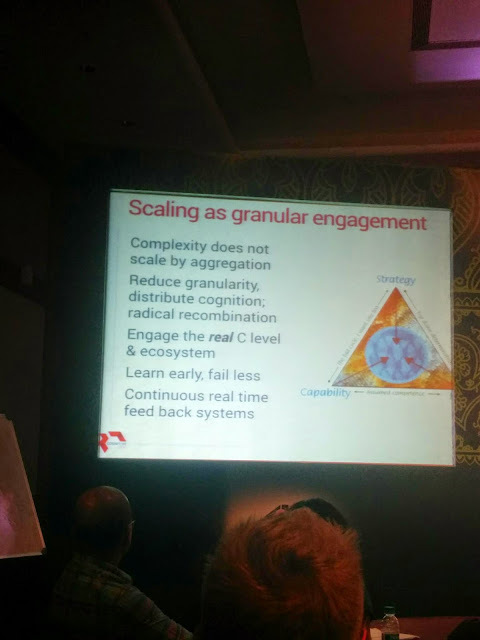 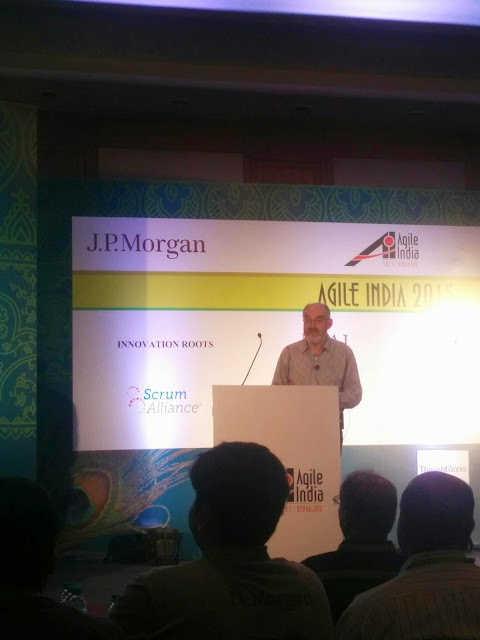 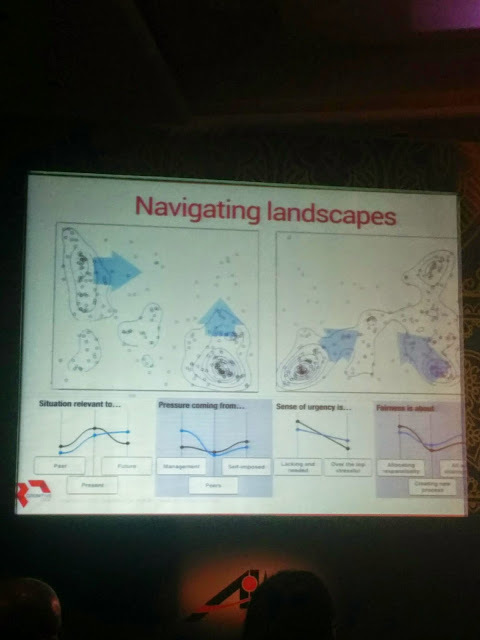 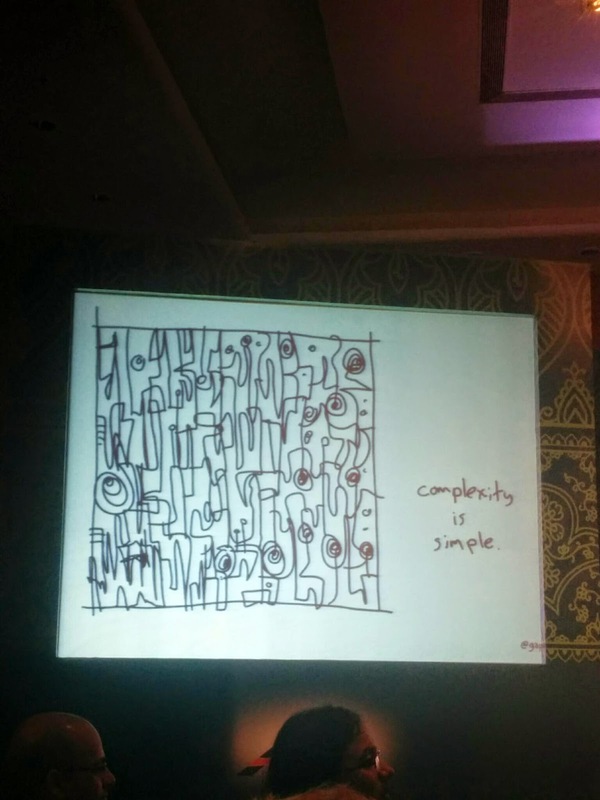 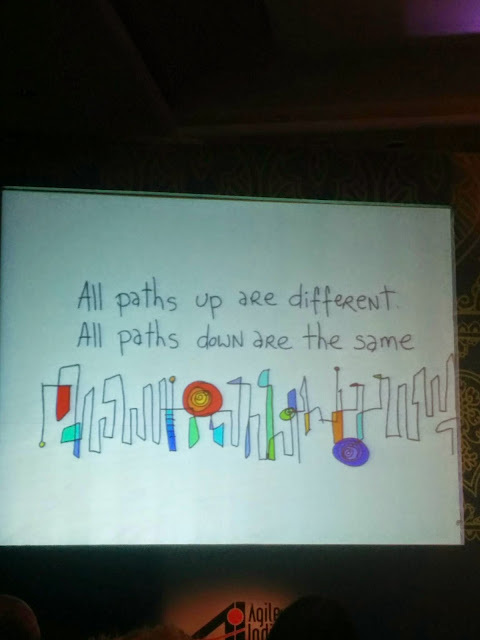 This presentation talked about embracing complexity and scaling agility. 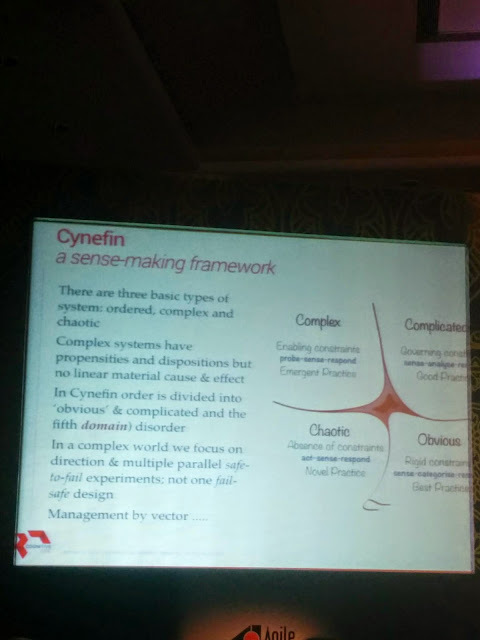 Cynefin - a sense making framework. 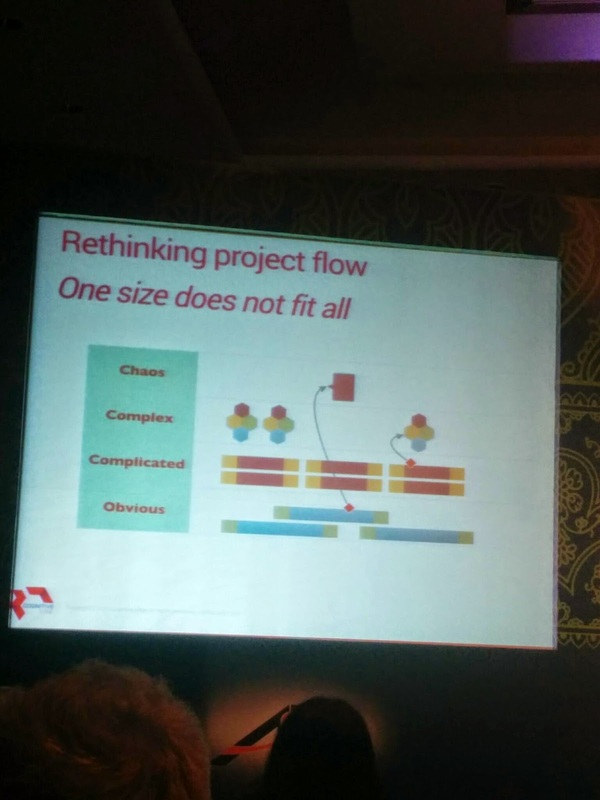 Some work is going on with Anderson on Kanban with complexity.
. Meaning does not reside in text it is provided by human actors in context.
. Abstraction is key to interpretation and reuse.